If your carpets are starting to look old and dirty then it may be time to give us a call on 020 3540 7862. With our elite Tufnell Park carpet cleaning team at Carpet Cleaning Tufnell Park your floors and rugs can be spotless and clean in a quick and cost-effective manner. Our carpet clean service is suitable for all fabric materials and is the most effective way of drawing out dark stains, built-in dirt, pet hairs and old dust fibres. So why not let our professional carpet cleaners take a look at your home, we promise to help make your floors fresh and dust-free in no time at all. If you’re worried about how long your furniture is going to last, then our sofa cleaning solutions could be just the remedy. With specialist products that can make your fabrics and leather last longer, you can relax safe in the knowledge that our N7 upholstery cleaners will take care of all of your furniture for you. So whether you’re stressed out about your sofas or curtains, our upholstery clean has something suitable for you. After using our service, you’ll be amazed at just how good your home can look for virtually no outlay at all. Call us today on 020 3540 7862 to hear for yourself. Moving out can be a lengthy and difficult process which is only made harder by the need to clean both your old and new home. With our end of tenancy cleaning service, you can take care of part of your move quickly and easily so that you have one less thing to worry about. Our Tufnell Park N7 end of lease cleaning team at Carpet Cleaning Tufnell Park will clean every inch of your old home until it is completely clean. The only problem you’ll have is that you’ll wish you did it earlier. So why struggle with your move when our end of tenancy cleaners can take the strain, with professional equipment and specialist training, we guarantee that we are the best people for the job. Our Tufnell Park domestic cleaning team are on hand for all of your cleaning needs. Whether it is the dreaded oven clean or scrubbing of the bathroom tiles, no job is too big for our experienced team. Taking pride in everything that they do, our domestic cleaners will treat your home with the utmost care ensuring that each of your items receives some tender, loving care. Our home cleaning team are also happy to help with any of your day-to-day tasks, such as dusting, vacuuming or mopping. So if there is something that you need help with, call our team today on 020 3540 7862. 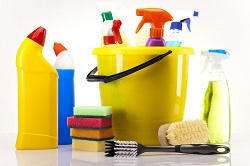 If you need some extra support in your home then our house cleaning service is sure to have a package that can help. With a wide range of specialist equipment and experienced N7 house cleaners, our company is flexible and reliable and will always work to the highest of standards. So why struggle with the yearly spring clean or drown beneath the daily chores when our house clean team can provide the extra support that you need. With our excellent low cost prices and friendly, professional team you’ll wish that you’d been using us across the years! If your office cleaning leaves something to be desired then our office cleaners in Tufnell Park, N7 could be just what you need. With elite staff and high-tech equipment, our commercial clean team at Carpet Cleaning Tufnell Park can have your business premises looking slick and professional in a quick and cost effective way. So don’t let your office get you and your workers down when our specialist team can have your floors, desks, phones and keyboards looking clean. With an excellent attention to detail, our company can make your furniture and office equipment last longer while keeping your staff happy and your premises maintained. Take a full advantage of our unbeatable carpet cleaning prices in Tufnell Park, N7. Upholstery Cleaning Tufnell Park has very professional cleaners and low prices! I had never hired a cleaning company before, but hey, there's a first time for everything, right? I'm happy my first ever experience with such contractors was so good. Big thanks to everyone at Carpet Cleaning Tufnell Park! I really can't think of anything bad to say about Carpet Cleaners Tufnell Park. They did such a great job with my old horrible carpet. I was honestly on the verge of giving up and getting a new one, but they changed all that. For anyone out there looking for a fantastic carpet cleaning service you definitely need to get in touch with them. Fantastic prices, excellent staff and great result at the end. It really couldn't be better! Give them a call. The last time I moved home it was tough handling both that and the big clean. Wanting things to be easier this time around, I hired House Cleaning Tufnell Park. They were able to complete my end of tenancy cleaning and I concentrated on the move. Everything went smoothly and it was because of their help. Tufnell Park, Holloway, Barnsbury, Islington, Dartmouth Park, Barnsbury, Kings Cross, De Beauvoir Town, Hoxton, Highbury, Harringay, Stroud Green, Hornsey, Crouch End, Highgate, Hampstead Heath, Hampstead, Belsize Park, Swiss Cottage, Primrose Hill, Camden Town, Somers Town, Primrose Hill, Cambridge Heath, Hackney Central, N7, NW5, N1, N19, N5, N8, N4, NW3, N6, NW8, NW1, E8, E2, N15, N16, N2, N10 and the rest of London as well. Description: Avail yourself of our carpet cleaning experts with years of experience in Tufnell Park and get the best service across N7. Free consultation on 020 3540 7862! Copyright © 2015 Carpet Cleaning Tufnell Park. All rights reserved.